Image Courtesy of Safe Fleet. Senate Bill 2, which prescribes harsher penalties for drivers who illegally pass school buses in Indiana, has been unanimously passed by the Senate. On Feb. 18, a bill that increases the penalty of motorists who illegally pass school buses with the stop arm extended, unanimously passed the Indiana Senate. The bill would change the penalty from a Class A infraction to a Class C misdemeanor. The legislation passed unanimously by the Senate Judiciary Committee on Feb. 3. It will now be sent to the House of Representatives for further consideration. The bill was introduced after three Indiana siblings were hit and killed while crossing the street to board their school bus in October 2018. Motorists who fail to stop when a school bus’ stop arm is extended could have their driver’s license suspended for 90 days, and receive up to one year in jail for a repeat offense. The charge would also increase to a Level 6 felony from a Class A misdemeanor, when a motorist passes a school bus when the stop arm is extended and causes injury. The offense would elevate to a Level 5 felony if the actions result in death. The bill also adds a fine of up to $20,000 in the event of an injury or death. 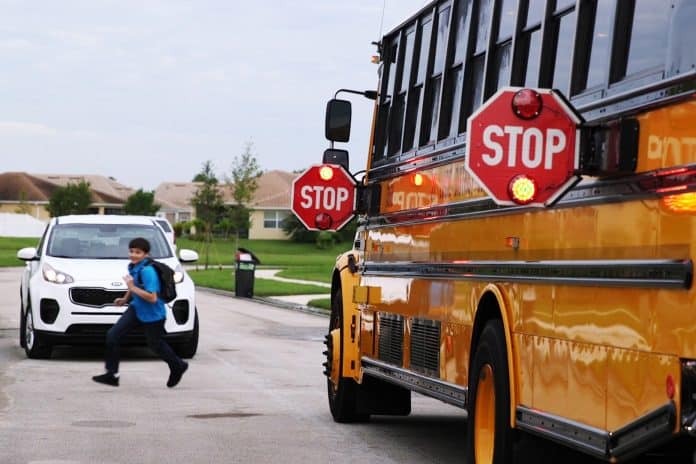 In addition, the bill specifies that school districts must minimize bus stops that require children to cross highways in high-speed areas, and it authorizes school districts to install stop-arm cameras. School districts or individuals would also have the ability to petition for reduced speed limits in select areas, to ensure maximum safety to students. SB2 also states that each school corporation, charter school or accredited nonpublic school that provides student transportation will be required to review their school bus routes and safety policies each year. Sen. Randall Head and Sen. Erin Houchin authored the bill and were joined by nine other legislator co-sponsors.